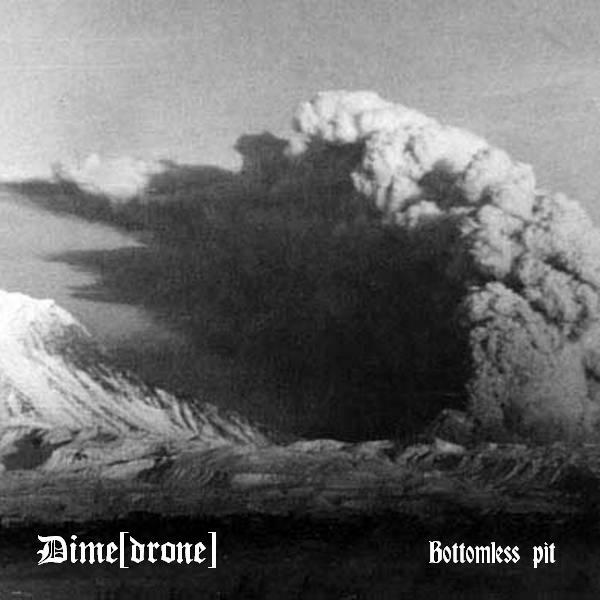 Today I’m going to review an album of Dime[drone], under the title “Bottomless Pit”, that saw the light on 6th of May in 2008 on Qulture Production label. It is the drone ambient music project of a musician from a Russian city Petrozavodsk, who later renamed it from Dime[drone] into OMUTT. “Bottomless Pit” is a short album, lasting 21 minutes. It has three tracks, but I want to focus attention on the last one – “Inevitability Of Immortality”. Droning background, high-pitched wind chimes and singing of a choir make an impression of a deep, heavy sleep with eyes bound together forever. Listening to it, it comes to my mind, that the name of the project – Dime[drone] may be somehow connected or even derived from Dimedrol, a name of a sedative remedy, though it is only my own supposition, that may be mistaken. “Inevitability of Immortality” is remarkable for its soothing, bringing into trance, and mystic climate. It’s good to listen to it in a repeat mode while falling asleep, you are sure to have bright, rainbow dreams, full of vivid imagery; it’s a real song of Hypnos.